CHARLES A. FIEDLER. ESQ. | Sentinel Law Group, P.C. Home / CHARLES A. FIEDLER. ESQ. Charles A. Fiedler concentrates his practice in the areas of business transactions and tax law. Mr. Fiedler has extensive experience structuring private/public partnerships for economic development purposes. Mr. Fiedler’s most notable accomplishment is his contribution to the formation of the Michigan Economic Development Corporation (MEDC) in 1999. Mr. Fiedler participated in drafting the 1999 Governor’s Executive Order and the interlocal agreement that formed the MEDC and obtaining favorable Internal Revenue Service (IRS) rulings. Mr. Fiedler served as MEDC General Counsel and Secretary from 2002 to 2004 and has worked with the MEDC on various economic development and job creation initiates; including, Life Science Corridor, 21st Century Fund, venture capital funds, and the most recently the Governor’s 2016 initiative for the redevelopment of the former GM Willow Run factory site into a facility for the operation of a national center for connected and automated vehicle technology research, testing, product development, validation and certification. Mr. Fiedler’s other notable accomplishment is the formation of and serving as General Counsel to the Michigan Magnet Fund (MMF), a Community Development Corporation (CDE) that received $145 million in New Markets Tax Credit (NMTC) allocation awards and is part of the MEDC’s economic development and job creation initiative involving real estate development or operating businesses in low-income communities. He participated in the closings and unwinds of numerous NMTC projects for the MMF and other CDE’s, including transactional documents and legal opinions. Many of these projects also involved, government grants and loans, historic tax credits, Brownfield tax credits and/or other incentives. Mr. Fiedler’s also has extensive experience with regard to the organization and operation of non-profit tax-exempt organizations. He worked on all aspects of the organization and establishment of a political action committee structure for a major non-profit tax-exempt hospital system, including obtaining favorable IRS and Federal Election Commission rulings. He has also obtained favorable IRS ruings on a variety of other issues involving tax-exempt organzation’s involvment in technology commerialization. Mr. Fiedler has served as a strong advocate with regard to IRS audit and collection activity achieving substantial reductions in tax debts. Mr. Fiedler’s also has extensive experience with regard to media and entertainment related matters. He has served as General Counsel to a TV station and two FM radio stations since their inception. Mr. Fiedler co-founded and is General Counsel to a premier DVD and internet-based movie company with a global market and in this regard has prepared copyright filings and negotiated license agreements. Mr. Fiedler has represented various film companies in matters regarding illegal sales of copyrighted movies. Mr. Fiedler also co-founded and serves as General Counsel to an internet-based educational website for technical training in the fields of automotive repair, cosmetology and health care. Mr. Fiedler has been in private law practice since 1986. 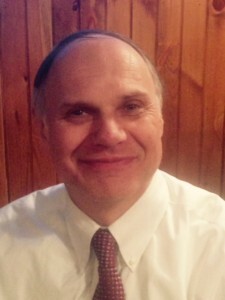 Mr. Fiedler earned a Juris Doctor from Michigan State University College of Law (1984), a Bachelor of Arts in Accounting from Minnesota State University Moorhead (1976) and is also a Certified Public Accountant. Mr. Fiedler’s accounting experience includes work for the U.S. government where he was a Captain in the U.S. Army Audit Agency and as a field auditor with the IRS. Mr. Fiedler also worked as senior tax specialist at a major public accounting firm.